Meeting with Mike Derrett of Mike Derrett Marine, a leading independent consultancy that specialises in providing ‘Business solutions for boating businesses’. Mike is recognised as one of the leading authorities on the marine industry in Asia and the Gulf States. 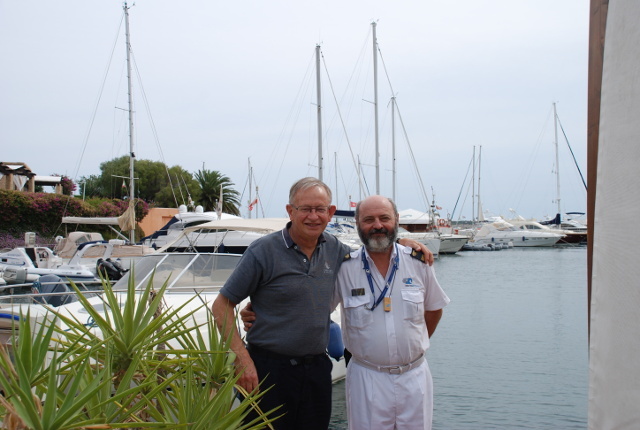 Mike came to look at some A1e completed works in the Olbia area, such as the restyling of Marina di Asfodeli and the promenade at Portisco. The aim of the visit was to look at these projects with a view to assessing their potential in terms of producing similar works within The Sultanate of Oman.